All homes currently listed for sale in the zip code 90056 as of 04/25/2019 are shown below. You can change the search criteria at any time by pressing the 'Change Search' button below. "Prestigious Ladera Heights executive home - high on the hill with canyon views with 5 bedrooms and 3 bathrooms. Custom Mahogany doors welcome you as you enter this sumptuous sanctuary. Soaring ceilings throughout, heated marble floors and luxurious mahogany wood floors. Inviting living room flows to formal dining room. The open concept gourmet kitchen has a large marble island, double ovens and Viking six burner stove! Warm family room with beautiful beamed ceiling and fireplace. A circular staircase leads to 4 bedrooms upstairs. There is one bedroom down perfect for extended family living. The Master suite features a sitting area, spacious bedroom, gas fireplace and Grecian inspired bathroom with steam shower and spa bathtub. Tree-lined backyard with canyon views and beautiful spa and waterfall. Three car garage. No expense spared in creation of the masterpiece." "Grand luxurious Ladera Heights home. Property features formal living room with stone fireplace, floor to ceiling windows. Family room with hardwood floors, built in bar, fireplace and door leads to rear yard. Kitchen with built in stainless steel Viking and Sub Zero appliances, breakfast area with access leading towards exterior sitting patio area where you can enjoy a breakfast, brunch or dinner. Formal dining room with halo lighting. Large Bonus/Req room can be used as a 2nd Family room perfect for hosting and entertaining. Rear yard features a sparkling pool with resort like landscaping, entertainers delight." "NOTE: Limited showings for March: Property can be shown Friday, March 15, 12noon-8pm by appt. and open Sunday, March 31 1-5pm. PRICE REDUCED AND SELLER MOTIVATED! CSO INCREASED TO 3%! Truly a one of a kind dramatic home with many unique areas which create an overall atmosphere of relaxation and peace. Its architectural style is reminiscent of timeless Southwest design, fused with contemporary elements creating a stylish yet comfortable environment. Entertainment is classic relaxed California style, with several open areas, creating a feeling of privacy and a connection to nature. A library loft, three separate outdoor living areas, an outdoor kitchen with wine fridge, sink and grill are some of the many features that make this home so very special. Highlights are a gorgeous koi pond with friendly fish, a putting green, outdoorreas that beckon you to enjoy, and many attractive updates, including a gorgeous kitchen and family room that will make you proud to own this home." "Lovely Upper Ladera Ranch style home with views. First time being sold in over 40 years. Formal entry, remodeled kitchen, Central Heat/AC, beautiful hardwood floors in the Living room and Family room, updated electrical, copper water lines, new sewer line, beautifully manicured front and rear yard with fountain and room for a pool & 2 car attached garage with direct entrance. Typical Ladera Heights Ranch style floor plan: 3 bedrooms/2 baths on one side and 1 bedroom/1 bath on the other. VIEWS!!" "Beautiful 2 story Home located in the highly desired Ladera Heights Community. This wonderful 4 bedroom 3 bath house has a large upstairs master bedroom with an en-suite bathroom, large walk in closet and Fireplace. Other feature include large living room with refinished hardwood floors, Recessed lighting, HVAC , and two (2) additional fireplaces in the living room and huge family room. These features creates a great setting for entertainment. The Kitchen Cabinets have quartz counter tops and stainless steel appliances.Washer and Dryer Included. Downstairs also has a 2nd master bedroom with a elegant en-suite bathroom. The paved circular driveway can accommodate 3 to 4 additional vehicles. The location of this house is readily accessible to Schools, Shopping Centers, Westchester, LAX, Venice, Culver City Metro and the 90, 405 and 10 Freeways. A fantastic House any family would love! 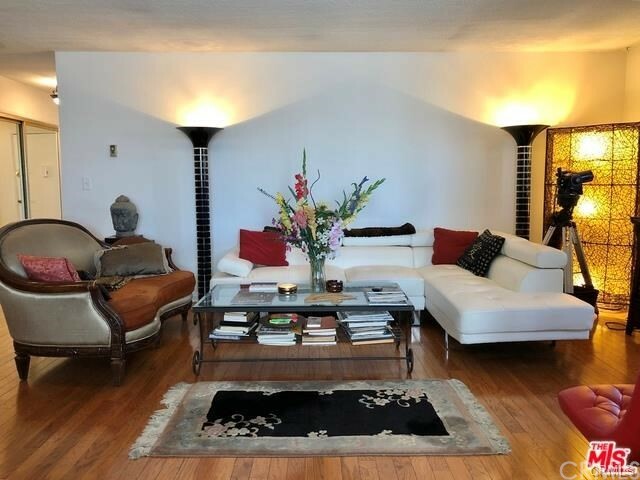 For Investors, a very successful AirBnB rental which creates consistent monthly income"
"This prestigious Ladera Heights home first time on the market in 35 years shows true pride of ownership. Step into this 2,676 sq. ft. home that features a dramatic staircase with vaulted ceilings throughout. The welcoming living room opens up to a large dining area meant for enjoyable gatherings with friends and family. The kitchen opens up to the family room w/fireplace as well as a lovely breakfast nook that overlooks the tranquil backyard. There is one bedroom and bathroom downstairs and three spacious bedrooms and two bathrooms upstairs. There is also a large bonus room upstairs that could be used as a family room or large bedroom. Public records show 3 bedrooms however I have provided a copy of the original floor plan that shows 4 bedrooms. Buyer to perform all due diligence. The large master suite features a bathroom with a sunken tub and his & her sinks. There are tons of closets throughout. This well maintained original home is waiting for your personal touch. AS-IS." 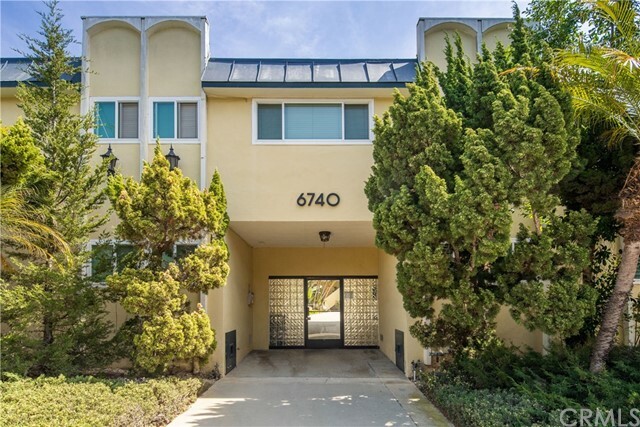 "LOCATION, LOCATION, LOCATION...What a GREAT OPPORTUNITY to own this oversized 3 bed 2 bath condo in Ladera Heights and to make it your own by tailoring it to your needs! Put your footprint on this wonderful 2nd floor unit which boast over 1600 sq ft and is loaded with closet and storage space. This unit has a great floor plan with an open and airy feel. The kitchen and breakfast bar is open to the large formal breakfast area, which flows to the generous balcony to relax on after one of those days. Take an easy 3 min walk to your favorite shops and restaurants, or, take a 4 min drive to Culver City and the vibrant Westfield Mall for even more eateries while approximately 170 shops and services are at your fingertips. Be quick to take advantage of this large, low priced unit that you will call home for years to come! Open Hs Sun 4/14 2-5 pm." "Welcome to this highly desirable top, corner, end unit now available in Ladera Heights! This beautifully maintained home has endless potential with an upgraded kitchen, wood flooring, a balcony, spacious floor plan, and master suite with a large walk in closet. The building features amenities such as a pool, multi purpose room, laundry and sauna. Do not miss this awesome opportunity to live in a prime location with convenient access to the freeways, Silicon Beach, and LAX!" "Move right into this lovely Ladera Heights condo! Large kitchen with dishwasher, refrigerator, stove, and room for a small table. Enjoy entertaining in the large living room complete with a wet bar. There is also a private balcony off of the dining area and living room, a great place to sit and relax and read a good book! Both bedrooms are good sized and have large closets. This lovely unit has brand new carpet, fresh paint, newer windows (2016), and new shower doors! Located within walking distance of the Ladera Center. Close to Silicon Beach." "Popular Ladera Heights 2 bedroom, 2 bath condo. Lowest price in town!!! Large open living room with entry closet and large brick patio. Newer carpet and attached dining area. Bright kitchen with built-in dishwasher and stove. Extra storage in hall. Full bath off hallway near bedroom with large closet and bright natural light. Master suite with 3/4 bath and 2 closets. Unit comes with a covered garage/single space. Large laundry area with extra storage. Vacation at home with nice large pool, rec. room, and spa!!! Walk to shops and restaurants."